Measles, polio and whooping cough. These three diseases have had vaccines for the last few decades. However, every so often, there is a case reported about someone contracting one of these diseases. If you look long enough at any social media outlet, you’ll see people who believe vaccines are unnecessary and only lead to autism or other unrelated issues later in life. This frame of mind is dangerous for not only those who don’t vaccinate but also for everyone who comes into contact with them. In 2015, there was a measles outbreak that was largely created due to several children not being vaccinated. According to an article by the Associated Press, the outbreak reached a peak of 147 patients in the U.S. over the course of four months as well as a longer outbreak of 159 patients in Canadian province, Quebec, to contract measles. The difference being that the people in Quebec belonged to more anti-vaccinated children and adults. With measles being back in the news again in 2019, it is mind-blowing how many people will talk down at the idea of vaccines that are created to help stop the mostly dead epidemics of century-old diseases. If many people went ahead and stopped vaccinating their children, the rates of hundreds of cases would go up to the thousands or the hundred-thousands. According to the Centers for Disease Control (CDC), there are more than 240 cases of U.S. patients with measles as of March 23 for the year, one of those cases being in Tarrant County. And that number is only estimated to go higher due to the rise of exemption rates. People are vaccinating their children less and less due to “evidence” that it is healthier for a person to go through life with no protection. Andrew Wakefield was the researcher who kicked off the drama about vaccinations causing autism. His case seemingly proved a link between autism and vaccinations, however after the study was over, it was shown that there were holes in the study. Ethics breaches, failure to show data leading to his conclusion and misconduct were shown in a case to debunk the entire study as a whole. In 2010, Wakefield was found guilty of professional misconduct and his medicine license was revoked. There are databases full of information like Wakefield’s case that can be used as proof of what is true versus what is false. However, the rise of “anti-vaxxers,” or people who are against using vaccines, is abundant. There is something malicious about parents not caring enough about other children or even their own children to vaccinate them. 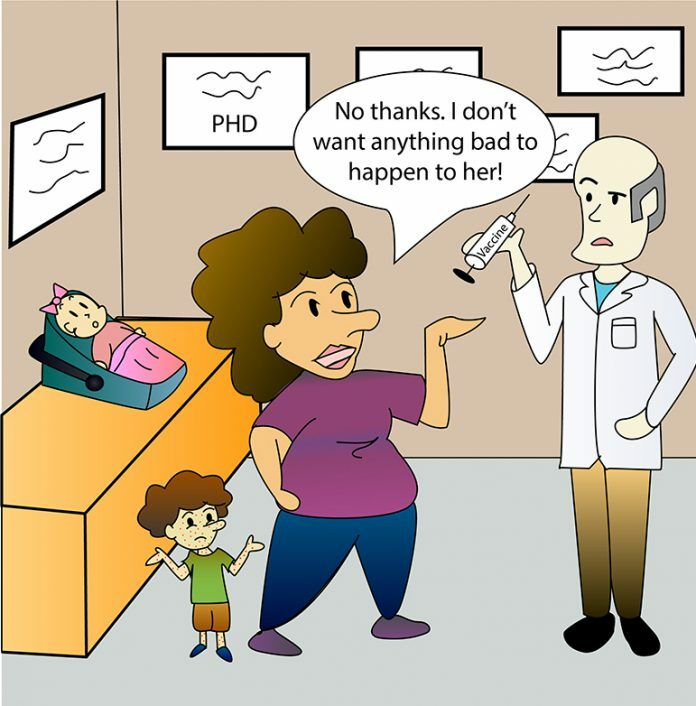 Even if a parent’s beliefs stop them from vaccinating their child, an informed Google search or two will help them uncover the truth about vaccines and the good they do. On an opposite note, the internet could also continue to spread the misinformation about vaccines. It is up to the social media community to spread the positive and push down the negative. This led to a handful of other teenagers in the same predicament, leading to them finding out the ways to be vaccinated and doing so on their own. The help of strangers online did some good and removed one more possible victim of the ancient diseases.